The leader in antifoul and boating supplies on the Gold Coast. We offer a huge range of antifoul and boating accessories coupled with substantial buying power. We pass the savings on to our customers. 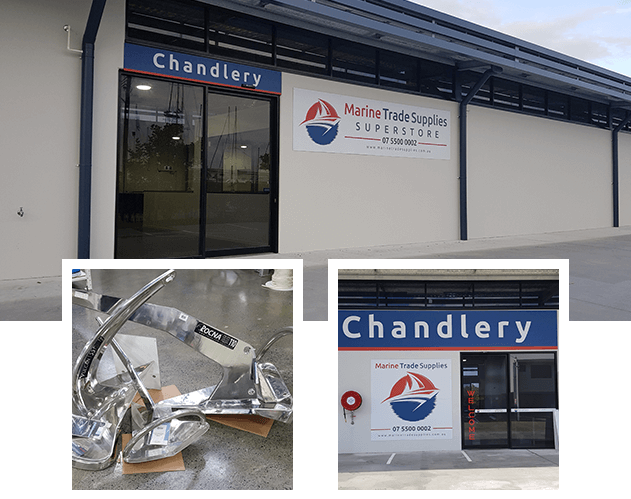 We are the biggest marine antifoul, resin, fibreglass, anchor chain, trailer chain, boat chandlery, boat paint supplier on the Gold Coast, with a huge boat detailing range. Located within The Boatworks at Coomera in the Gold Coast marine precinct right on the hardstand, we stock all the top brand antifoul paints. We also supply to commercial vessels such as trawler supplies, fisherman with rope, net and chain, Cruise Ships with life jackets and more. Open to the general public, you can shop where the tradies shop! Marine Trade Supplies is a proud 3M Distributor. We stock a good range of 3m products in store including boat detailing polishes etc, personal safety, abrasives and tapes. 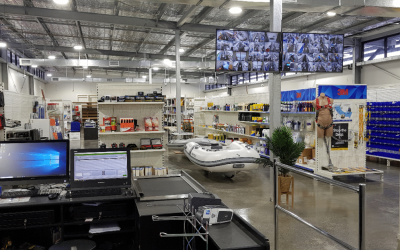 Announced at the 2018 SCIBS (Sanctuary Cove International Boat Show) Marine Trade Supplies is Australia’s first dealer to offer the Jotun Yachting Range. We are a Wattyl Paints distributor on the Gold Coast. Now owned by Sherwin Williams, we carry a great range of epoxy primers, Top Coats like Poly-U 400 and Colourthane. 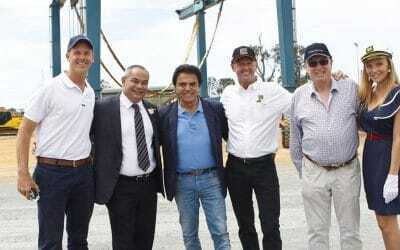 International have just released some exciting new antifouling paints and primers into the Australian market. These include Micron AP, Micron 77, Micron Extra 2. We are an Awlgrip & Awlcraft 2000 distributor. The best marine coating in the business. If you are wanting the best for your next project give us a call today. Awlcat 2, T0003. We are an Altex Yacht coatings ITC Marine distributor. We carry a great range of epoxy primers, Top Coats and antifoul. The flagship No5 and Pettit Vivid among the range. We are a Hempel Paints Distributor. We stock in store Hempel Olympic, and Hempel Mille Dynamic Alu Antifoul plus Quattro Epoxy & Hempadur Primers. We are a PPG Marine & Protective Coatings Distributor. We stock in store ABC3 Antifoul, Sigma Ecofleet 290 Antifoul. Primers wise we stock the famous Sigmacover 280. We stock a large range of Hella Marine lighting. 12v, 24v Navigation lights, Interior lights, Step Lights, Ceiling lights and more. Drop in a have a browse. Great Products. We can supply the National Luna Fridge Freezer range, including covers, draw slides etc. These stainless steel fridges are famed for drawing the lowest amp’s on your battery. We are an authorised Aqualuma Dealer. If you want the very best quality in Marine Underwater Lighting then look no further. Give us a call to discuss your requirements. We support and promote Propspeed. Tried and tested, there has been so much research and development put into the product and it’s application. We are a PWB Anchor distributor. We can offer you a fantastic range and price on anchor chain. Australian made PWB grade L short link chain is stamped and tested. Selling Musto Sailing Apparel here on the Gold Coast. We stock a great range of Musto Clothing. Give us a call or drop in and we can assist with wet weather gear and more. We stock Yeti drink bottles, cooler bags, eskies and more, drop in and browse the range. Know as the worlds best coolers, you will never need another. We also proudly stock NCS Resins. Our 2080 polyester LSE resin carries Lloyds certification. Our Vinylester resin is demanded by the fussiest composite tradesman in the business. We are a West Systems Distributor. R105 and H205/6 hardeners and powders. We are also stocking some of the most advanced Epoxy resins available in the market today. We carry in store a great range of genuine Racor Fuel Filters. 2020TM, 2010TM 10 micron and more. If you are after just one or a box we have you covered. We carry a great range of genuine Jabsco impellers.. If you are after just one or a few spare we have you covered. We also have a fantastic range of abrasives in store. 150mm Revcut Blue velcro backed, 3M Blue 150mm, 115mm x 20m rolls of Revcut, Resin discs, cut off wheels. We are a Lanotec Distributor and we a range of Lanotec Lanolin Heavy Duty Corrosion Inhibitor and Grease in store. Marine Trade Supplies stocks Full River and Delkor Marine Batteries. We have done the research and decided to represent the best battery range in Australia. Explore our wide range of products for all your ships chandlery and boat maintenance needs. Our Online shop uses a quote system on some items. Request what you are wanting to purchase, a quote request will be sent to us. We will determine freight charges and send you a quote. You can then either accept or reject our quote. Simple system, unfortunately with Australia being so big, antifoul being classed as dangerous goods, anchor chain being heavy and expensive to ship, we cannot have a generic freight cost system that applies across our website. In store our staff are very knowledgeable and can advise you on the technical side of most scenarios. If it gets beyond our scope, we have access to trained reps from our network of suppliers who can assist. For instance a paint system specification can be drawn up for your boat by a NACE Certified Coatings Inspector and if followed correctly, you will have the backing on the products from some of the largest paint companies in the world. The expertise is there and available, so do not risk you’re project. 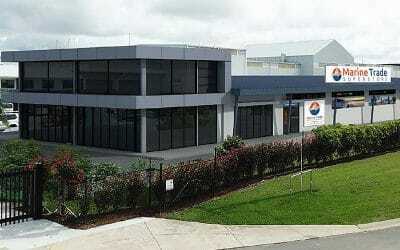 We buy pallets and pallets of marine antifouling paint and top coat paints each month as we are located right inside the busiest and greatest, boatyard in Australia, The Boat Works at Coomera on the Gold Coast so we offer very, competitive prices.